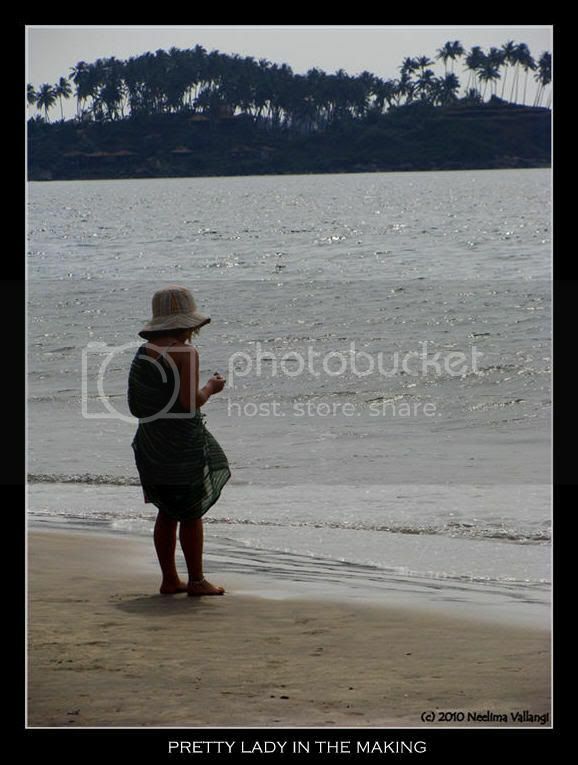 Photo of the week - Pretty Ladies at Palolem and Karwar ~ The Wandering Soul's Wander Tales..
Alright she is not a lady yet. But, c'mon, look at the way she has draped the scarf and holding it so gracefully. Spotted this little girl at Palolem Beach in Goa. My quest for sunrises ans sunsets are never going to end and as always i'll have a story to tell as well. We woke up early in the morning to witness sunrise by the beach but as luck would have it, there was a huge mountain blocking the sunrise. But atleast the morning was well spent. Shot at Karwar, Karnataka. Hi Neelima! Sorry for another long absence, but after a busy start of the year I decided to make a break during the Carnival week, anticipating new hard weeks ahead!! Lovely shots! One day I'll go to Goa... I must!! she is pretty and loved the mood in the second image! @ joshi - Thanks! It was a lovely morning at Karwar.